A quick survey of cycling gear designed for inclement weather makes one thing undeniably apparent: most cold-weather kit is specifically designed for male cyclists, forsaking the ladies of the peloton and trail. Gradually, this is changing, and Castelli's Cromo Gloves, part of the brand's Cromo line of women's cycling apparel, is yet another indication that the cycling industry as a whole is recognizing this historically under-served cycling population. The Cromo Gloves feature Windstopper X-Fast material on the backs of the hand and cuff, which affords top-end wind protection without the suffocating feel of other anti-wind materials while still keeping the elements at bay thanks to a DWR (durable water repellent) treatment. 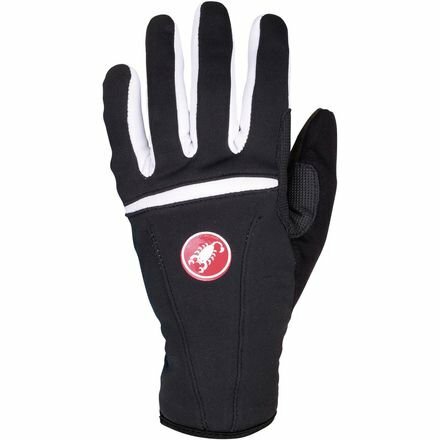 The soft, brushed fleece of the SmartHeat lining does its part to contribute to dry hands by pulling moisture off of your skin and both it and the Windstopper X-Fast keep you comfortable in temperatures ranging from 41 to 57 degrees Fahrenheit. The palms also resist wind and water, but not at the cost of losing touch with your shift levers. 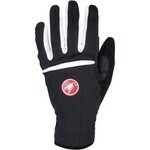 The Cromo Gloves are rounded out with a long cuff that eliminates the gap between glove and jacket and a microsuede thumb panel to wipe sweat, moisture, and any other matter from your face. They're branded with a tastefully proportioned Castelli logo on the back and a Rorschach-esque splash of complementary color (we find that it's suggestive of either a star burst or floral pattern, depending on who's describing them) on the palm. 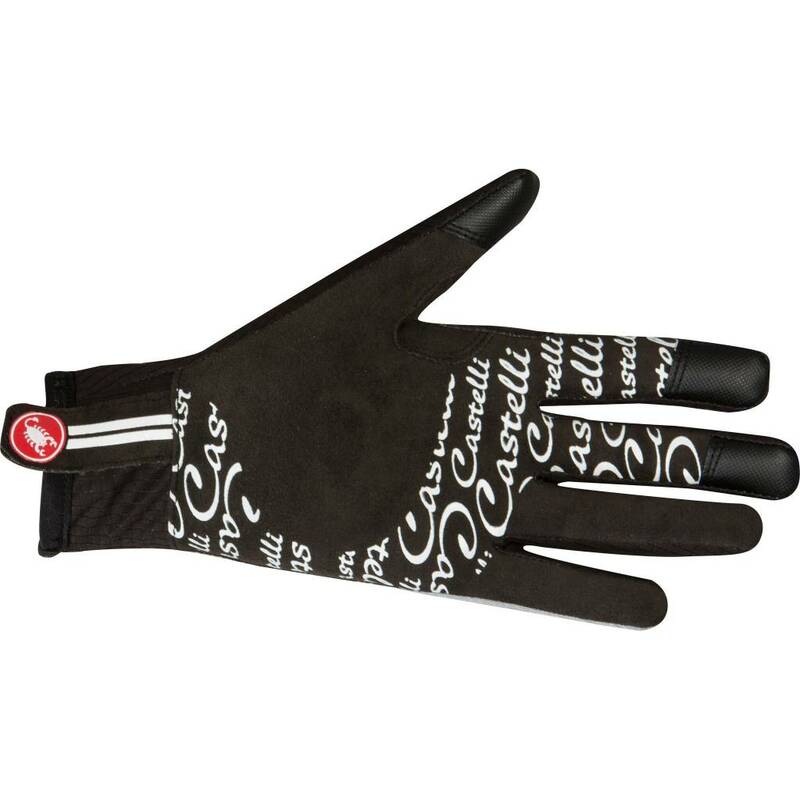 The Castelli Cromo Gloves - Women's are available in five sizes ranging from X-Small to X-Large in the colors Black/old rose, Black/violet, White/coral, and White/magenta.